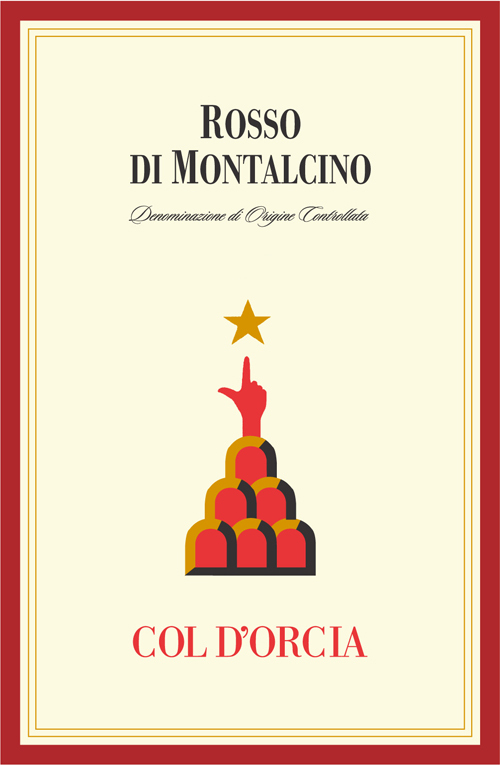 The Rosso di Montalcino is a red wine made from 100% Sangiovese grapes. Grapes undergo maceration at controlled temperatures of less than 82˚F (28ºC) in short-wide tanks to maximize the contact of the cap with the skins. Two daily pump-overs combined with 2 délestages (rack and returns) on the 3rd and the 5th day of fermentation give an efficient, but delicate extraction of color and tannins. After separation from the skins, the wine is transferred into new French oak barriques (Allier, Fontainbleue and Blois) where malolactic fermentation takes place. The typical fruit of great Sangiovese (plum and lily) is elegantly balanced by the noble spices acquired by the aging in barrique. Its richness and complexity is worthy of a great Brunello while its varietal freshness is still remarkable. The typical intriguing fruit of great Sangiovese, gracefully framed by the pleasant spices of the barrique. Rich, harmonious and full-bodied, with supple tannins. The production area of Brunello di Montalcino is located in southern Montalcino in the area of Sant’ Angelo in Colle. The vines enjoy a favorable southern exposure granting the vineyards with the blessing of the sun rays the whole day long. The average height is about 1000 ft above the sea level. This wine is made from 100% Sangiovese grapes. Complex and fresh, with inviting fruit aromas balanced by oak-imparted spices. Well-structured and full-bodied, with fine tannins that promise great aging capacity; long and impressive finish.